Where did Shakespeare fetch the phrase from? And what might his audience have made of it? The phrase is from ancient philosophy – ex nihilo nihil fit – a view that vied with the christian account of creation from Genesis. So the ironic source in King Lear sets up a great philosophical and ethical confrontation – not quite good v evil, but getting there. But then … maybe Shakespeare had a deeper meaning in mind, through the magic of mathematics. Our terminology for the quantity of nothing comes from the Indian numeral 0, which was given the Sanskrit name sunya, translated into 9th century Arabic as sifr, translated in turn into medieval Latin as zephirum. The Arabic and Latin were translated in turn into English as cipher and zero. Cipher (as it relates to Arabic numerals) first appeared in English in the 16th century and was used in a textbook that Shakespeare may have had at school – the section on The Art of Numbering in Robert Recorde’s The Ground of Arts (1543), which went through several editions. Some of Shakespeare’s audience must have been familiar with it. And vnderstonde that ther ben .9. lymytes of figures that representen the .9. digites that ben these. 0. 9. 8. 7. 6. 5. 4. 3. 2. 1. The .10. is clepede theta, or a cercle, other a cifre, other a figure of nought for nought it signyfiethe. Nathelesse she holdyng that place givethe others for to signyfie; for withe-out cifre or cifres a pure article may not be writte. And sithen that by these .9. figures significatifes Ioynede with cifre or with cifres alle nombres ben and may be representede, It was, nether is, no nede to fynde any more figures. And note wele that euery digite shalle be writte with oo figure allone to it aproprede. And alle articles by a cifre, ffor euery article is namede for oone of the digitis as .10. of 1.. 20. of .2. and so of the others, &c. And alle nombres digitalle owen to be sette in the first difference: Alle articles in the seconde. Also alle nombres fro .10. til an .100. [which] is excludede, with .2. figures mvst be writte; And yf it be an article, by a cifre first put, and the figure y-writte towarde the lift [ie. left] honde, that signifiethe the digit of the whiche the article is namede; And yf it be a nombre componede, ffirst write the digit that is a part of that componede, and write to the lift side the article as it is seide be-fore. Alle nombre that is fro an hundrede tille a thousande exclusede, owithe to be writ by .3. figures; and alle nombre that is fro a thousande til .x. Mł. mvst be writ by .4. figures; And so forthe. And vnderstonde wele that euery figure sette in the first place signyfiethe his digit; In the seconde place .10. tymes his digit; In the .3. place an hundrede so moche; In the .4. place a thousande so moche; In the .5. place .x. thousande so moche; In the .6. place an hundrede thousande so moche; In the .7. place a thousande thousande. And so infynytly mvltiplying by *these .3. 10, 100, 1000. And vnderstande wele that competently me may sette vpon figure in the place of a thousande, a prike to shewe how many thousande the last figure shalle represent. We writene in this art to the lift side-warde, as arabiene writene, that weren fynders of this science, othere for this resoun, that for to kepe a custumable ordre in redyng, Sette we alle-wey the more nombre before. Enough to spark a brilliant mind into speculating on the nature of existence. 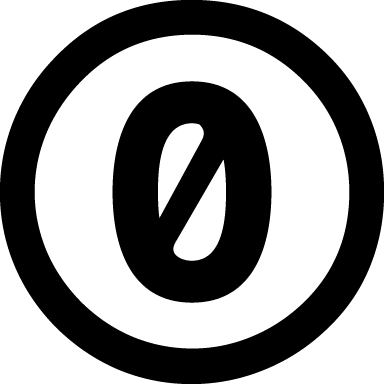 Shakespeare repeatedly referred to zero and the cipher, the round O, to nothingness – all very enigmatic. He was a dramatist, not a philosopher, so perhaps irony is as much as we can take from his speculation. His main concern must have been to thrill the audience with a challenge to the orthodox, to threaten to break The Great Chain of Being, and then deliver a satisfying revenge on the proud Lear. In 1606 (when the play was first performed) the concept of creatio ex nihilo was christian orthodoxy – God is omnipotent – so anyone insisting otherwise was not welcome. That fits with the Christian orthodoxy, but seems beyond the compass of King Lear. Something comes of nothing, so Lear has been proved wrong. But by this logic what we call God could be identified with the empty set, ie. a nothing, which is placed there by human intervention. A weird challenge. Shakespeare couldn’t go that far, leaving us with no more than an ironic disturbance in the moral continuum: Lear loses his kingdom, his power, his sanity, then his joy Cordelia, and his life – back to Nothing, where he belongs. *Robert Kaplan, The Nothing That Is: A Natural History of Zero (1999) pp.203 ff. ISBN: 0140279431 – the link with von Neumann is taken from this chapter. Daniel Tammet, Thinking in Numbers: How Maths Illuminates Our Lives (2012). [quote comment=”595″]and her accnet is so beautiful i’m not English ( as you possibly noticed ) so for me it’s even more so amazing than for the real British ;)[/quote]I love British accnet too I’m not from English either, not even American,,, I’m from Brazil, where are you from?